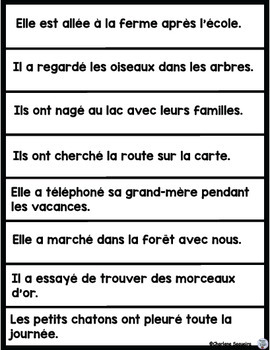 There are 10 images with cut and paste sentences to go with them. (Pages with the cut words are also included as an answer key). 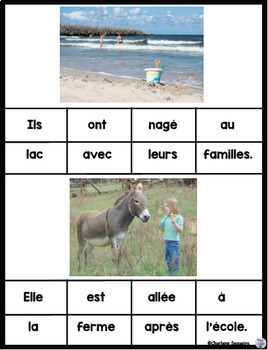 Pages have also been included with the same images and lines below them for writing in the appropriate sentences. Blank pages have also been added for creating other sentences. There are pages included with just the images on them. There are 24 images in all (the 10 above plus 14 others). Sentences strips are on separate pages. These can be used for matching with the images or they can be used separately for designing pictures to go with the sentences. 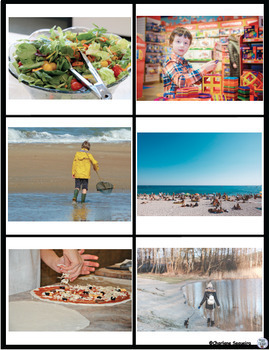 These are just a few ideas of ways to use these images and sentences. Feel free to be creative with them and use them in whatever way works best for you. 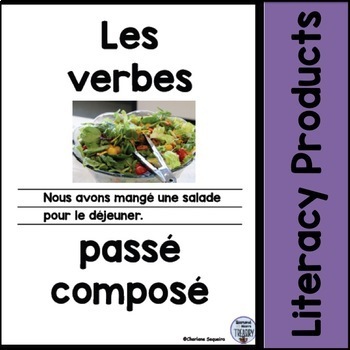 I would love to hear of different ways that you use them.Check out my French category for more language activities.